In just a few years Candid has grown from few customers to having over 2,000 customers. 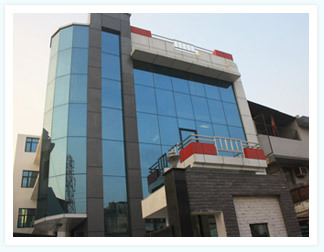 We began working from a small office in basement and have grown and expanded to two offices in India. We have grown from one server to 15 servers. Our staff has grown from the original two founders to 68 employees with office in New Delhi. We understand hosting to be a service just like any other. It is the assurance we make to keep your web sites and mails up and running without interruption. Hosting is just like any other service. We are dedicated to what we do. We are good at it too. We never hide behind technical jargons, never have to. Never display messages or leave you to automated answers when you would rather have a human voice explain it to you. Candid Web Hosting holds an unprecedented eight years of experience in the field of web hosting and domain name registration. Owing to our long years of dedicated service and learning experience you can be assured of quality support round the clock. With every correspondence you will feel the difference between Candid Web Hosting and other web hosting providers. The Single-Site and Multi-Site hosting plans are affordable and offer professional websites the highest quality. Moreover, with the flexible hosting options you pay for exactly what you need and no more. For your convenience we have created various modes of payment. You can simply pay us via PayPal, Credit Card, Debit Card, Online Bank Transfer, Cash Deposit in UTI Bank anywhere in India. Get more information. When you put together your hosting plan, we want you to relax knowing that there are no hidden costs and what you see is what you pay. You will not find the typical ‘prices are subject to…’ in font size 5 at the bottom of any page. We own our own facilities and servers. Unlike many other hosting companies we do not chunk together with other service providers and resell their domain services. We do not operate from a small basement with a two men army. Our technically advanced servers have hosted more than 5000 domains. Moreover, you also receive useful features and controls because we have formulated and built all our hostingtechnology ourselves, based entirely on client’s feedback. 99% server uptime implies that our server is only unaccessible 1% of the time. For you, this implies that your site could be inaccessible for just a few minutes in a month. Our development unit is incessantly upgrading our servers with up-to-the-minute technology, creating useful new tools as well as features to make your Web presence as prominent and reliable as possible. We pride ourselves in offering reliable support to all our clients. Superior support sets us apart from other Web hosts. We are actually just a click or call away whenever you need us. Visit our support section or have a look in our community forum. Candidhost maintains the biggest and most extensive Knowledge Base in India. Our in-depth Knowledge Base has all the documentation required to get acquainted and establish a space in the web world. Refer the Knowledge Base. Friendly service is what we have earned our clients for. The kind of service that you get from your neighbourhood grocery store. No bells and whistles….no tantrums. We provide hosting the way it should be….the way any good, reliable service should be. We did not completely agree. We thought it was a huge website. Hosting, though significant, was not the sole section. We wanted to provide the convenience of offering hosting through a dedicated site. Moreover, we wanted to offer more value to our clients which were not possible with the sub-domain. For example, the extensive knowledge base that is unbeatable as a helpful resource on hosting. Then there is the forum and the blog too. It's not over yet! We still have to talk about the dedicated support section. But we don't want to talk to you about a seamless hosting service. We want you to experience it. Experience it with Candid Web Hosting. Candid aims to provide the absolute best web hosting by focusing on speed, price reliability and most important "friendly after sales hosting support". You can rest assured that you will be assisted and supported by a knowledgeable and responsive staff at Candidhost. We hire only the most committed and dynamic workforce to assure you of optimal support and help you with all the nitty-grittys. -For your convenience we have created various modes of payment. You can simply pay us via PayPal, Credit Card, Debit Card, Online Bank Transfer, Cash Deposit in UTI Bank anywhere in India. Get more information. We own our own facilities and servers. Unlike many other hosting companies we do not chunk together with other service providers and resell their domain services. We do not operate from a small basement with a two men army. Candidhost has a proper unit that spreads about 32 hundred square feet. Take a ride through the Candidhost infrastructure. Our technically advanced servers have hosted more than 5000 domains. Moreover, you also receive useful features and controls because we have formulated and built all our hostingtechnology ourselves, based entirely on client’s feedback. Check the features of our server. 2,000+ People trust Candidhost! Be one of them today.